Fun in the sun stops being so fun when you spend so long outdoors that you're putting yourself at increased risk of skin cancer. 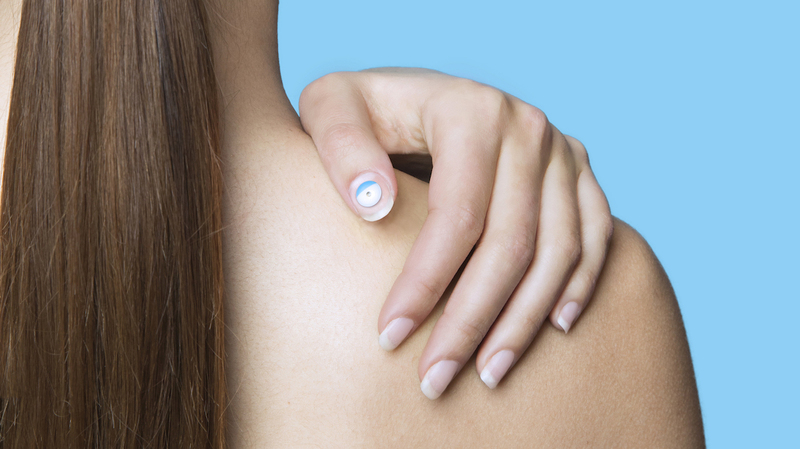 Wearable UV sensors can tell you when you've had your fill, and after launching its My UV Patch for the entire family last year, L'Oréal has come up with something new. Meet UV Sense, a battery-free electronic wearable sensor that you wear on your thumbnail. It's less than 2mm thick, with a diameter of 9mm and can be worn on your thumbnail for up to two weeks. It measures your individual UV data and then stores it in your phone on its companion app for up to three months, so you can see long-term exposure trends. After those two weeks, you can reapply the UV Sense with additional adhesives, which come in the box. So, why the thumbnail? L'Oréal says the thumbnail is a good place for sunlight that also ensures longer wear, which makes sense. Your skin wrinkles and moves, which can loosen things like skin patches. Your finger nail doesn't do that. The big issue with most UV sensors, which come in the form of smart tattoos like the Logic UV, are that they don't stick to your skin longer than a day. That was one of the two major issues L'Oréal found with users of its My UV Patch, which it debuted back in 2016. The other issue was long-term data. Both of these issues are solved with the UV Sense. The UV Sense connects to an iOS and Android companion app via NFC, and it transfers over its data automatically. The app will show you your exposure trends over the long term and will give you tips and tricks. So it can tell you when to reapply sunscreen or when to look for some shade. L'Oréal is also launching a Yves Behar-designed limited edition version of its My UV Patch. While it's not as advanced as the UV Sense, it's nice to see that L'Oréal is continuing iterating. UV Sense will see a limited release in the US during the 2018 summer season, and then will move toward a full release in 2019, though pricing information isn't immediately available. The limited edition My UV Patch will be available through L'Oréal's website.